You probably know that hard work, passion, luck, and talent all play a major role in determining how successful you’ll be in your working life. 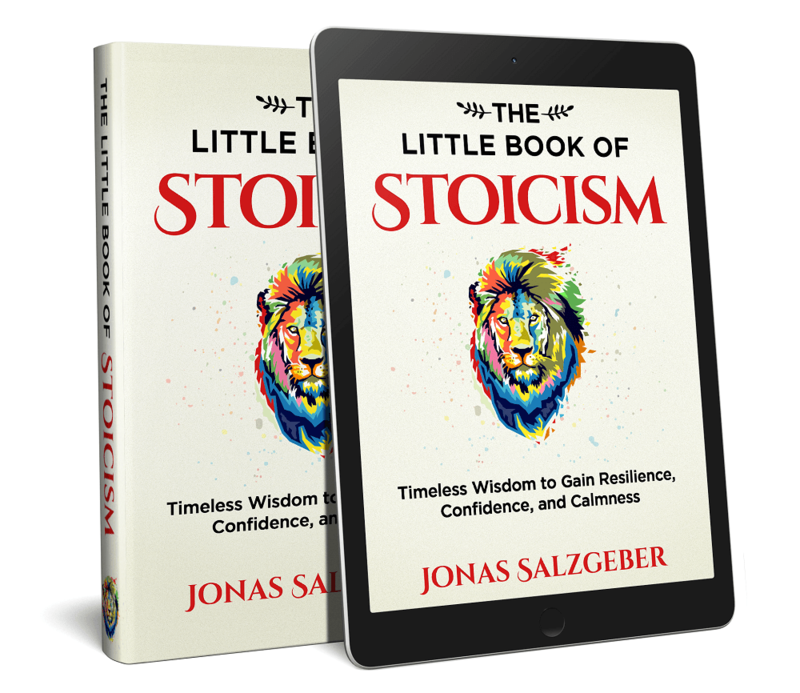 But did you know that there’s another factor – your reciprocity style – that is just as important, if not more important? 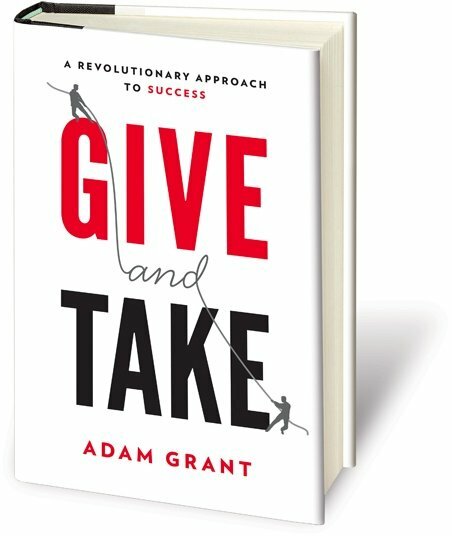 Adam Grant, a professor at Wharton Business School, explains all about this newly emerging factor of success in his brilliant book “Give and Take”. Looking for more great books? Download our ﻿free recommendation ﻿guide ﻿﻿'20 Books That Shaped Our ﻿Thinking﻿'. Takers believe the world is a competitive, dog-eat-dog place. They believe in succeeding by being better than others. They feel like they’re in constant competition with others. They feel like they must prove their competence so they self-promote and make sure they get plenty of credit for their efforts. Takers are very calculating, cautious, and self-protective. They look out for themselves. They make sure they don’t get left behind. Givers believe the world is a friendly place. They believe in succeeding by helping others and creating win-win situations. They’re interested in how their actions make others or the ‘whole’ better off. They are genuinely interested in helping others. They often act without having a hidden agenda. If someone needs their help, there’s no need to think about it. Givers gladly give a helping hand without expecting anything in return. Most people are matchers. They simply “match” the reciprocity style of the people they interact with. If you give to a matcher, he’ll gladly give back to you. If you take from a matcher, he’ll envy you and try to get even next time. Let’s say you’re a postman and are bringing the mail for Mr. Johnson. Unfortunately, it’s the wrong Mr. Johnson. In this scenario, the giver will likely help you try to find the real Mr. Johnson and the real address. The giver is compassionate and is truly interested in helping you. He might put in a considerable amount of effort to help you. On the other hand, the matchers and takers probably won’t help you – there’s nothing in it for them. Let’s say you’re moving and need some help next Saturday. A giver will check his schedule and, if he’s free, gladly join you without thinking much about it. A matcher will join you if he owes you a favor or if he thinks he can get equally as much back from you in the near future. A taker will only join you if he thinks he can get more back from you. Otherwise he’ll make up an excuse and pass. I hope these two scenarios clarify the thinking behind givers, matchers, and takers a bit. In short, takers try to get as much from other people as possible while contributing as little as they can. Givers are generally people who enjoy helping others and are fine with giving more than they receive. The matchers aim for quid pro quo – I help you, you help me. Bottom line: There are three main reciprocity styles: Takers, Givers, and Matchers. Takers aim to get more than they give. Givers tend to give more than they get. And Matchers go for quid pro quo. *Note: This is important: You have one primary reciprocity style that you’ll use with most people most of the time. But that doesn’t mean you never act in the other reciprocity styles. It’s totally possible that you act as a giver in one department, as a matcher in other environments, and as a taker in your general interactions. You’re not always a giver or always a taker. You can always choose to act differently. As we mentioned earlier, our reciprocity style has just as much of an impact on our success as hard work, talent, and luck. 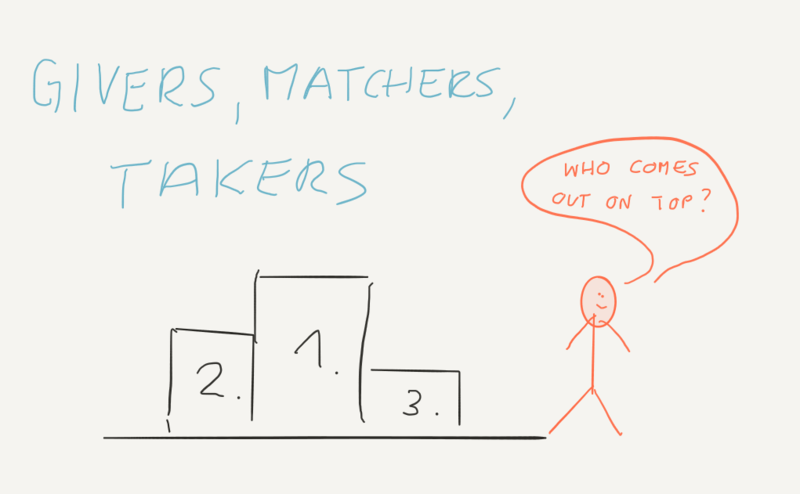 So who comes out on top – the Takers, Matchers, or Givers? Bottom line: Out of the three reciprocity styles it’s the givers who succeed the most. One big reason is because they build better reputations, more and stronger relationships, and far bigger networks than matchers or takers. Reputation, relationships, and the right network will enhance anyone’s success in life. Remember, when interacting with a giver, it quickly becomes clear that he genuinely cares about your interests. He aims to make you and everyone else better off. He gives, helps, and puts in a lot of time and effort without expecting anything in return. He aims to create win-win relationships. This becomes his reputation. He will be known as a giver, as someone who’s generous with his time and energy, as a generally good guy. And as someone who cares about others and helps them succeed. Needless to say, this kind of reputation opens the doors for new relationship and expanding your network. After all, who wouldn’t want to make business or become friends with a giver? Just compare a giver’s reputation with one of a taker – a guy who’s known for being selfish taking advantage of people, and looking out only for himself – nobody wants to make business with that kind of person. In short: Givers build more relationships and thus a bigger network because they’ve got a great reputation. Takers build fewer relationships and smaller networks because they sacrifice their reputation by acting selfish and not caring about the interests of others. When you’re a giver you create win-win situations and help others succeed. Thus, matchers – looking for quid pro quo – will feel inclined to give back to you. They are actively looking for ways to help you. Things look drastically different if you’re a taker and you’ve taken advantage of someone. Now matchers – looking for quid pro quo – will want to get even. They’ll look for ways to punish you. And it gets even worse for takers. Once they have a negative reputation, matchers will punish them just for knowing they’ve taken advantage of other people. That’s right, a matcher will punish you just for knowing you’ve been a taker with one of his friends, co-workers, or whoever. Matchers value fairness. They’ll get even with you… even for stuff you did to other people. That means even better news for givers: Matchers will grant you a bonus for helping their friends, family, or any other people. Givers succeed because most people are matchers – guys and gals valuing fairness and reciprocity. If you’re a giver with a giver reputation –> the matchers (which is the majority of people) will grant you a bonus. If you’re a taker with a taker reputation –> the matchers will impose a tax on you. If you’re a matcher with a matcher reputation –> the other matchers will neither give you a bonus nor impose a tax on you. They’ll simply look for quid pro quo. When you’re a giver, it’s like the whole world has your back, is rooting for you, looking out for you, and helping you succeed. Bottom line: Givers succeed partly because most people are matchers who value reciprocity and fairness. The matchers grant a bonus to givers while punishing takers. When you’re a giver, the whole world is rooting for you and supporting you. You can build trust, goodwill, and a great reputation much more quickly than a few hundred years ago. And, as far as takers are concerned, you can also destroy your reputation much more quickly today than before the Internet, telephones, and other technology. Giving really only helps you succeed when you’ve got the chance of working with other people. If you’re interacting with others, luck, talent, and hard work are obviously much more important to become successful. As teamwork becomes more and more common, givers gain a huge advantage over matchers and takers. Whenever they’re working with people, they get opportunities to demonstrate their value, build trust and goodwill, and improve their reputation. Think about it… do you want your key service providers to be givers or takers? Do you want your lawyer, doctor, dentist, teacher, plumber, and real estate agent to focus on contributing value to you, or claiming value from you? If your doctor is an egomaniac, you’ll simply fire him. And that’s how a job gets redistributed from a taker to a giver. Bottom line: The service sector is growing. Teamwork becomes the norm. And reputations get acquired much more quickly. These are all reasons why giving will become an even more important factor of success in the future. Givers build bigger and far superior networks than matchers or takers. Someone with a giver reputation can easily make lots of new friends - everyone loves to be friends or make business with someone who’s generous, helps people, and genuinely cares about others. If you’re someone with a taker mentality, it’s much harder. After all, who wants to be friends with someone who’s known for taking advantage of others, looking only after himself, and not caring about others. Another reason why givers build bigger networks is that they “activate” many more relationships. They don’t limit themselves to only creating relationships with people who can give them something in return immediately. A giver genuinely cares about others and helps people without expecting anything in return. He gives to people even if he doesn’t see a way the other person could pay him back. This way, a giver creates a huge network of people who theoretically “owe him a favor”. Takers and matchers, on the other hand, only help someone when their immediate benefit is at least as great as the benefit for the other person. They insist on a quid pro quo in every interaction… and thus help fewer people than givers, which results in a much narrower network. Takers and Matchers suffer from a shortsightedness about networks. If they don’t see an immediate return on their investment, they simply won’t pursue the relationship which limits the size of their networks dramatically. Bottom line: Givers enjoy helping others without wanting anything in return. This helps them “activate” lots and lots of relationships and create a huge network of people who theoretically “owe them a favor”. As opposed to matchers and takers, they don’t limit themselves to only creating relationships with people who can give them something in return immediately. The more giving group members do, the more successful their group will be. Givers make themselves better off by making the whole group better off. They expand the pie: They make major contributions to the success of the groups… which means there is more success for the whole team to share. Givers put a group’s interests ahead of their own. They take on the tasks that are in the group’s best interest, not necessarily their own personal interests. They put in a lot of effort. They help others with their tasks. They take on tasks that others don’t want. 1st, you increase the group’s overall success which means everyone, including you, gets a bigger pie. 2nd, you’re building goodwill and trust with the people in your group. You’re building a great reputation. People will want to work with you again. The matchers will grant you a bonus in the future. So, next time you’re working in a group, act as a giver. Put in a lot of effort. Do the tasks others don’t want to do. Help others. This way, both you and your entire group will benefit greatly. Bottom line: Givers excel in group work. They make everyone (including themselves) better off by making the group better off. They put the group’s interests ahead of their own by taking on tasks that others won’t, helping team members, and putting in a lot of effort. Adam Grant gives lots of research-backed examples of givers far outselling both matchers and takers. “…Dane Barnes and I asked hundreds of opticians to complete a survey measuring whether they were takers, matchers, or givers. We also gave them an intelligence test, assessing their ability to solve complex problems. Then we tracked their sales revenue over the course of an entire year. Givers ask questions, try to get to know their customers, and genuinely have the customers’ best interests in mind. Compared to takers, givers don’t feel the need to dominate the conversation. Instead, they let the customers talk about their needs and wants. Oddly enough, by talking about themselves – their needs and wants etc. – the customers believe they’ve actually come to know you. So, by asking questions and letting the customers express their feelings, desires, and wishes, givers build trust, familiarity, and goodwill – three core components of selling. Through their conversational style, givers also gain a lot of valuable knowledge that helps them become better and better at selling their products and services in the long run. The defining quality of a top pharmaceutical salesperson was being a giver. Next time you’re selling something, act as a giver. Be genuinely interested in your potential customer. Get to know him. Ask questions. Let him talk. And most importantly, have his best interest in mind and do what’s best for him. “I don’t look at it as selling,” he explains. “I see myself as an optician. We’re in the medical field first, retail second, sales maybe third. My job is to take the patient, ask the patient questions, and see what the patient needs. My mind-set is not to sell. My job is to help. My main purpose is to educate and inform patients on what’s important. My true concern in the long run is that the patient can see. Bottom line: Giving helps you become a better salesperson. Being genuinely interested in your customer’s needs helps you build trust and goodwill. Which in turn helps you sell your product or service in a win-win kind of fashion. NOT all givers come out on top. Some of them are what we call pushovers or doormats… and they often land at the bottom of the success ladder. Why is that? And what can a giver do to NOT become a pushover or doormat? Selfless givers: These are the guys with high other-interest and low self-interest. They give their time and energy freely without regard for their own needs. Unfortunately, they often get taken advantage of and tend to end up as doormats and pushovers. By giving and giving and giving they neglect and sacrifice what would be in their own best interest. Otherish givers: These are guys with high other-interest and high self-interest. They are just as ambitious as matchers and takers, but are willing to give more than they receive. What’s crucial is that they keep their own interests in sight and don’t let others take advantage of them. The key to successful giving is finding a balance between what’s best for others and what’s best for yourself. Think in terms of win-win. Bottom line: Givers are not only the most successful, but also the least successful. They only succeed when they find the right balance between other-interest and self-interest. So-called otherish givers genuinely care about others, but keep their own interests in mind also. This helps them succeed and prevents others from taking advantage of them. - There are three main reciprocity styles: Takers, Givers, and Matchers. Takers aim to get more than they give. Givers tend to give more than they get. And Matchers go for quid pro quo. - Your reciprocity style influences how successful you’ll be. Out of the three styles, givers tend to be the most successful. - Givers succeed because most people are matchers who value reciprocity and fairness. They grant a bonus to givers while punishing takers. When you’re a giver, the whole world is rooting for you and supporting you. - Three reasons why giving will become even more important in the future: The service sector is growing. Teamwork becomes the norm. And reputations get acquired much more quickly. - Givers build far superior networks than matchers or takers. They don’t limit themselves to only creating relationships with people who can give them something in return. Instead, their joy of helping others causes them to “activate” lots of relationships and create a huge network of people who theoretically “owe them a favor”. - Givers excel in group work. They make everyone (including themselves) better off by making the group better off. They put the group’s interests ahead of their own by taking on tasks that others won’t do, helping team members, and putting in a lot of effort. - Givers are the best salespeople. Being genuinely interested in their customer’s needs helps them build trust and goodwill. This helps them sell their product or service in a win-win kind of fashion. - Givers are not only the most successful, but also the least successful. To be a successful giver you must find the right balance between other people’s interests and your own. If you neglect your own needs and interests, you’ll become a doormat or a pushover. You’ll let people take advantage of you. And you’ll end up at the bottom of the success ladder. Becoming a giver is one of the smartest things you can do for yourself. It will not only increase your career success, but it will also help you make new friends, create new business partnerships, feel better about yourself, and it will even make you happier along the way. When someone asks you for advice, take the chance. It doesn’t get any easier than that. When someone asks you for something, help him or her out. Really do your best to solve his or her problem. Take your time, put in some effort, and genuinely care for his or her well-being. Acknowledge people and make them feel good about themselves. Dale Carnegie says in How to Win Friends and Influence People that one of the deepest urges in human nature is the desire to be important. So give people that feeling. How? Say thanks to the bus driver. Greet the postman. Smile at strangers. Whatever it is… find ways to acknowledge people’s existence. You always have a choice: You can either make someone feel good or bad or neutral. Try to make them feel good – leave people better than you found them. Ask for help. Helping people feels great. So by giving others the chance to help you, you’re indirectly making them feel good. Be present. One of the best gifts you can give someone is your full and undivided attention. Don’t interrupt them from speaking. Don’t look at your smartphone. Be interested in what they have to say. After seeing all the benefits of giving, I’m wondering if you’re going to start acting as a giver more often? Remember, you can choose how you show up in the world. You can choose to act as a giver. You can choose to help others without worrying about receiving something in return. Let me know how you feel about that in the comments below, and thanks for reading! P.S. What's Your Reading Game? Want to know one habit highly successful people have in common? In his recent HBO documentary, Becoming Warren Buffett, he says, "I still probably spend five or six hours a day reading." Reading is a big deal. On top of that, with Blinkist Premium you also get personalized reading recommendations, offline access to all content, notes you can export to Evernote and you’ll be able to send all your book summaries straight to your Kindle. This tool has been a real game-changer for us and it's something you may want to benefit from as well. If you want to see it for yourself, head over to their website and get started with their free trial. Thanks a ton for such a stellar/succinct analysis! Where Should We Send Your ﻿Free Book ﻿﻿﻿Recommendations ﻿﻿﻿Of 20 Books ﻿That ﻿﻿﻿Shaped ﻿﻿Our Thinking? Thanks! Click The Button Below To Download Your Book Recommendations.